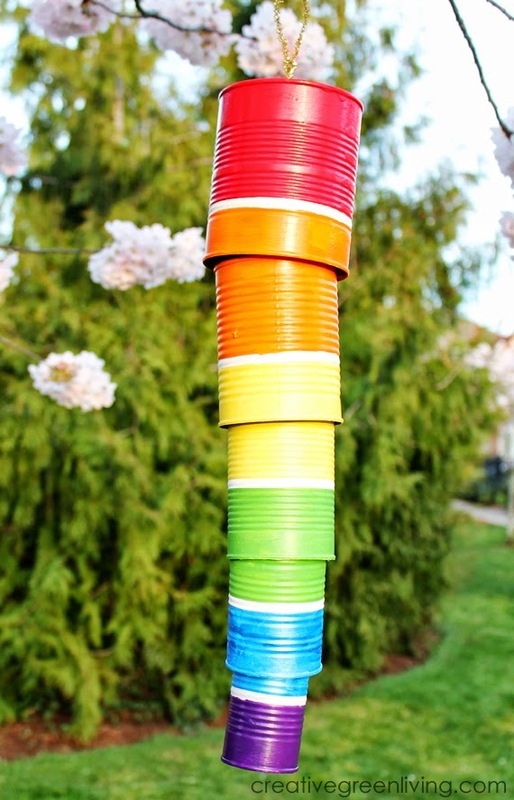 Wind chimes are fun projects to make with kids and a fun way to decorate your porch or garden. 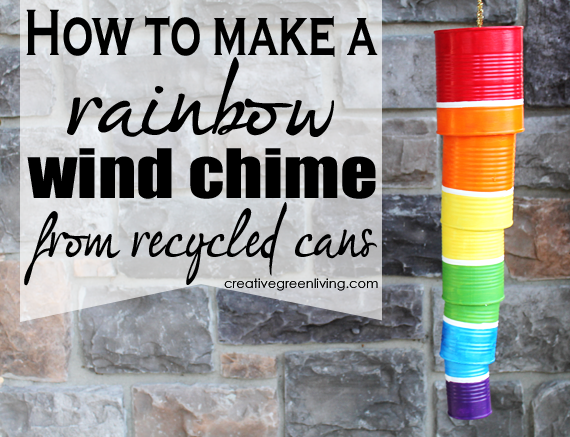 Make this rainbow wind chime for St. Patrick's day, to celebrate the arrival of spring (AKA "rainbow season") or just because! 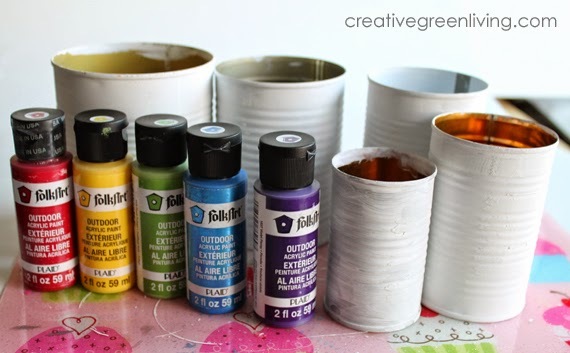 Prime the cans using either primer or chalk paint. I had some Chalk Paint Decorative Paint by Annie Sloan on hand from a previous project so I used that. Before painting, use the patterning tape to mark off the sections you'd like to paint. Each of my cans had two sections. 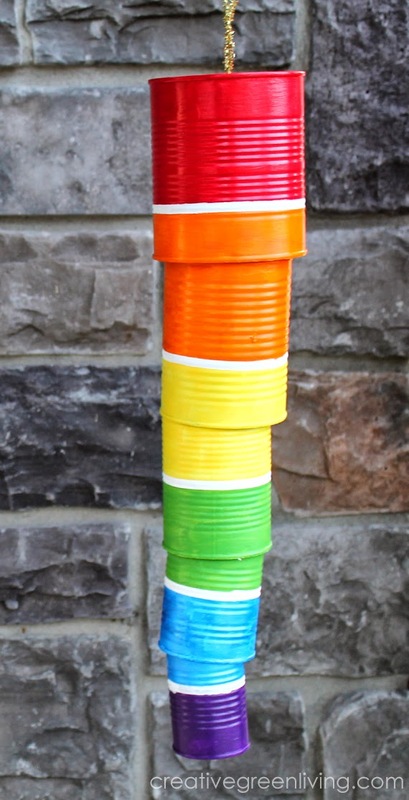 Set the cans aside to dry. If needed, add a second coat of paint once the first coat is dry. Removing patterning tape once all paint is dry. Punch holes in the tops of each can by either using a Dremel Micro Rotary Tool (my personal preference) or a hammer and a nail. 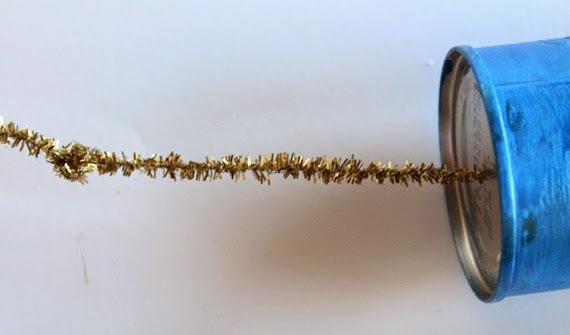 Tie a knot in the bottom of one of your pipe cleaners and thread it through the smallest can so that the inside of the can is resting on the knot. 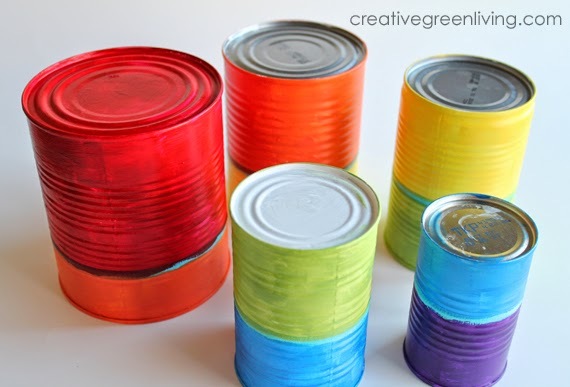 Figure out where you would like the top of the second can to hang and tie another knot and thread that can onto the pipe cleaner. 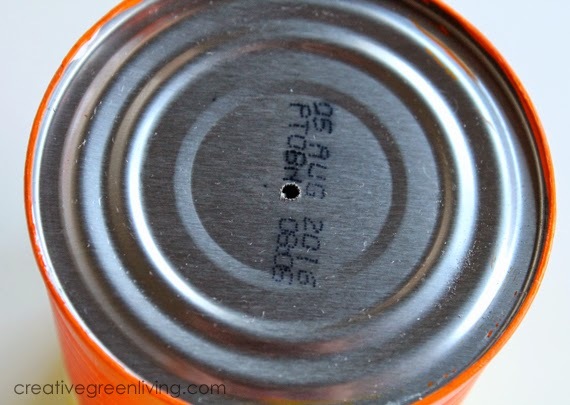 By the time you get to the fourth can, you will need to connect the second pipe cleaner to the first. Make the join large and bulky so the can rests on it. 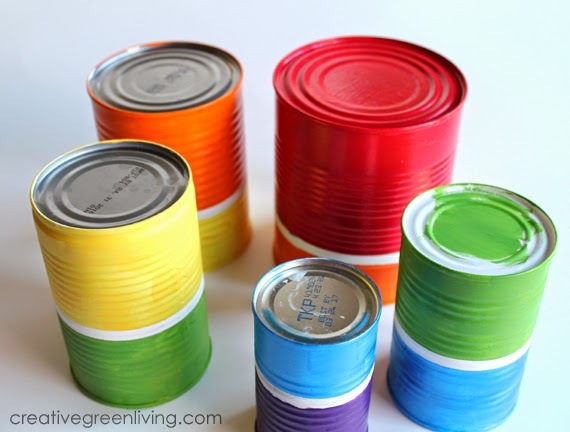 Continue stringing the cans together. For the final can. make a hanging loop with the pipe cleaner. I love this idea and will be trying this, how do they sound? I'm not sure how to describe their sound. 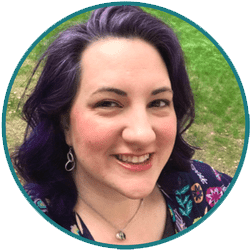 It's less high pitched or musical than wind chimes made of glass. Still fun to make nonetheless. What kind of a sound does this wind chime make? Does it clatter and clank or just sound tunny? It isn’t tunny like a manufactured windchime. It’s truthfully mostly for looks.